The Trinity Learning Center program provides for the child’s physical, spiritual, social, emotional and academic development. The program emphasizes the development of the individual child as he/she operates in a group. The teachers strive to provide a stimulating environment in which appropriate materials and situations provide rich experiences of learning as well as child guidance as the child is self-motivated to learn. Our program is designed to maintain and encourage children’s natural curiosity and the joy of discovery, and to help them to express themselves creatively. Our daily schedule is a balance of independent and group activities, active and quiet times, including a snack time and a rest time for full day students. Of equal importance is the role of the preschool in helping children to accept themselves as individuals within a group. Learning to work, play and share with others in a world of their own, develops independent and self-reliant children. Responsive teachers in an understanding and accepting atmosphere aid the children in achieving emotional control, sensitivity to others and a sense of fair play. Trinity Learning Center prides itself on providing a clean, safe and welcoming environment, while promoting the strong academic foundation that our parents are looking for. Classes are offered 12 months a year for infants through 7th graders. Private full & half day Kindergarten, Before & After Care and an extensive Summer Program provide a fun and challenging 6experience for our older students. Developmentally stimulating Preschool and Pre-Kindergarten classes are offered for 3 through 5 year-old students. Our youngest students ages 6 weeks through 3 years are provided with a nurturing staff and an exploratory environment to promote self-learning. We are committed to provide the highest quality, developmentally appropriate care and education for the children of our parish and its greater community. In our Orthodox Christian family-centric environment, children of all backgrounds will be loved, nurtured and encouraged to grow intellectually, emotionally, spiritually, ethically and physically, to strengthen a solid foundation upon which a great life and character may be built. We will apply ourselves to this task with a commitment to the pursuit of excellence and in the recognition that we are making the most important investment in the future of our world that is possible. Holy Trinity Greek Orthodox Church was established in Egg Harbor Township, New Jersey on November 21, 1982. The Parish is under the governance of the Metropolis of New Jersey, headquartered in Westfield, New Jersey; and under the Greek Orthodox Archdiocese of America, headquartered in New York, New York. Our program is designed to advance a child’s intellectual, spiritual, moral, physical, social, emotional, and educational development to the fullest. The curriculum strives to promote a child’s ability to interact effectively in group settings. Teachers provide a stimulating environment in which appropriate materials and situations create rich learning experiences. Children are guided to become self-motivated learners. Our learning environment is designed to maintain and augment a child’s natural curiosity and the joy of discovery. Students are encouraged to express themselves creatively. Our daily schedule contains a balance of independent and group activities, active and quiet times, snack time, and a rest time for full-day students. We place great pride on the academic focus of the Center and the outstanding preparation provided to children as they advance to higher grade levels. Emphasis is also placed upon helping children accept themselves as individuals within a group. Learning to work, play, and share with others results in independent and self-reliant children. Responsive teachers in an understanding and accepting atmosphere, aid the children in achieving emotional control, sensitivity to others and a sense of fair play. Learning how to learn and becoming a wise, loving member of society are fundamental qualities that need to be instilled in a properly educated individual. 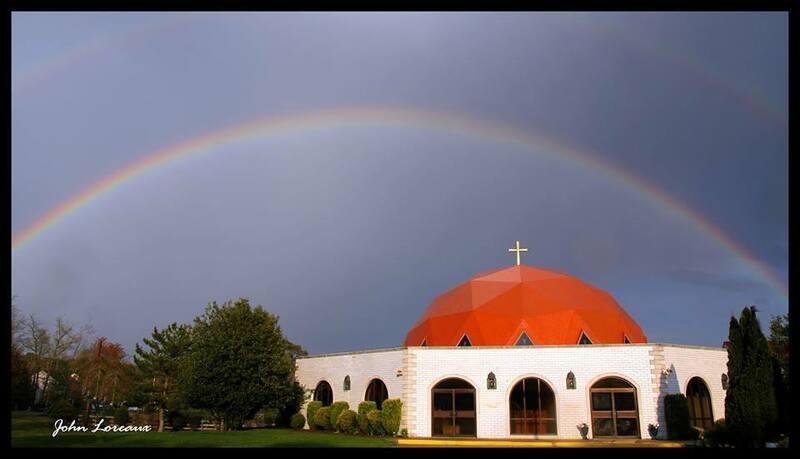 Holy Trinity Greek Orthodox Church was established in Egg Harbor Township, New Jersey on November 21, 1982 by a small, very devoted group of families that sought to provide for the spiritual and cultural growth of the faithful. These pioneer families, let by Rev. Dr. Demetrios Constantelos, ventured out into what were the woods of Bargantown and established the Church community. Holy Trinity Church is under the governance of the Metropolis of New Jersey headquartered in Westfield, New Jersey and is also under the governance of the Archdiocese of America headquartered in New York, New York. The Orthodox Christian Church was established on the day of Pentecost nearly 2,000 years ago and Holy Trinity is part of a long succession of parishes that have been established since Apostolic times. In recent years, the Holy Trinity family has grown to include many second and third generation families and to include parishioners from many different cultures and language groups, including a growing number who have converted to the Faith from various walks of life. The members of the parish are fully integrated into the greater South Jersey community making important contributions to the fields of business, education, medicine, law, engineering and hospitality. Holy Trinity has a very vibrant liturgical life that is complemented by very active philanthropic, youth, educational and cultural ministries. All are designed to promote salvation in Christ as stated by the Parish Mission and Vision statements. Many people know the parish because of the ever-popular summer and winter festivals and block parties that attract thousands of visitors each year. In 2,000, architectural plans were being drawn and a capital campaign was launched so that a new community center could be built to serve the church members and also fellow citizens from throughout the region. Soon afterwards, the parish council and parish general assembly made the decision to establish a childcare education center. A school board was selected, let by the first president, Michael Kent. The board was comprised of highly educated members with advanced degrees and specialties in the areas of education, child psychology, social work and business. Dr. Liz Dworski was hired as a consultant who advised the board for an extended period of time, both before and after the school opened. As our state of the art community center/education center was being constructed, the school board embarked upon all the research and preparations that were required prior to the Grand Opening. In 2005, Tracey Campbell was hired as the first director. The first administrator and teachers were hired soon afterwards as “Team Trinity” grew in numbers and enthusiasm for the new school. In March of 2007, Trinity Learning Center officially opened and the first small group of students began to attend classes. As the school’s tremendous reputation became known throughout the area, enrollment numbers jumped dramatically, more staff were hired and new classrooms needed to be created. In 2008, Angela Baldwin became our TLC Director and under her inspired leadership the school was launched to greater heights of success. The most salient strength of the school over the years has been the dedicated teachers, administrators, staff and board members who continue to provide an excellent, well-rounded educational program for our children. We also thank the many parents and family members who have volunteered much of their time and talent over the years so that all educational opportunities for the children can be maximized.